For the guy who's looking for that special accessory to set him apart from the crowd, hip hop men diamond jewelry might be just the thing. This attractive jewelry can complete his outfit while saying "look at me!" As the hip hop music culture has grown in recent years, hip hop men diamond jewelry has seen a surge in popularity. Many of hip hop's top artists, like 50 cent and Ja Rule, like to sport the latest and greatest in jewelry, and their fans race to emulate them. Some of the most recognizable names in the fashion world, like Prada, have produced and marketed hip hop jewelry. For men who aim to dress to impress, glitzy "bling" helps create a pulled together look. While some designs feature just a few well placed diamonds, others are literally encrusted with the sparkling gems. With this jewelry the attitude is the bigger and bolder the jewelry, the better. Diamonds are synonymous with luxury and class, and diamond hip hop jewelry was created for men who want accessories that make a statement. 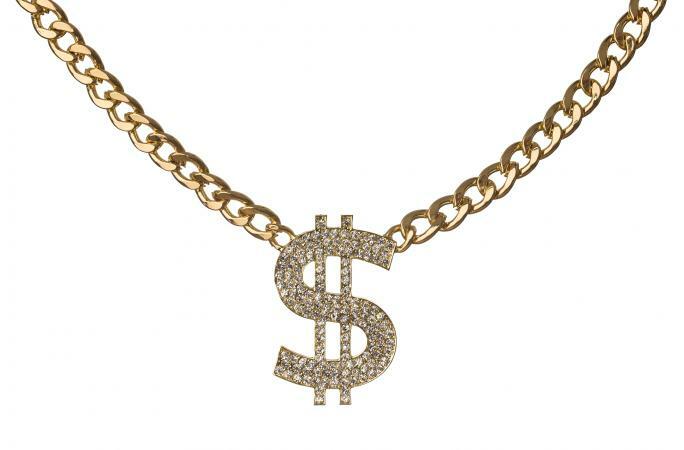 Hip hop jewelry that's covered in diamonds is called "iced out." The diamonds are usually paired with precious metals like gold and platinum. For those who like the look of diamonds but can't afford the price tag, there are plenty of budget-friendly bling that incorporate diamond substitutes like crystal, cubic zirconia, and rhinestones along with less costly metals. Many of these items come packaged as matching sets. The Bling Factory - Start your search for the latest hip hop jewelry here. This site has a respectable collection of genuine diamond jewelry as well as an extensive list of lower priced items. Look for diamond earrings, diamond watches and gold and diamond grills. King Ice - This is a great place to go when you want the iced out look without breaking the bank. At this site you'll find lots of choices of the hip hop jewelry you want. Looking for grillz? King Ice has a great selection. Looking for dookie chains? They've got those too. They've also got genuine diamond earrings and gold watches, if you've got to have the real thing. Check it out! It's Hot - Diamonds, diamonds and more diamonds are what you'll find at It's Hot.com. From diamond covered money bag pendants to gem encrusted rings, handsome bracelets to square earrings, they've got it covered. In addition to traditional diamonds It's Hot carries genuine diamonds in colors like blue and canary yellow. They've got a range of pendants that let you show your individuality, whether you choose a pendant with the face of Jesus or a skull and crossbones. There's a range of prices too, so if the item you like is out of your reach, keep looking - there might be a similar, lower-priced version.